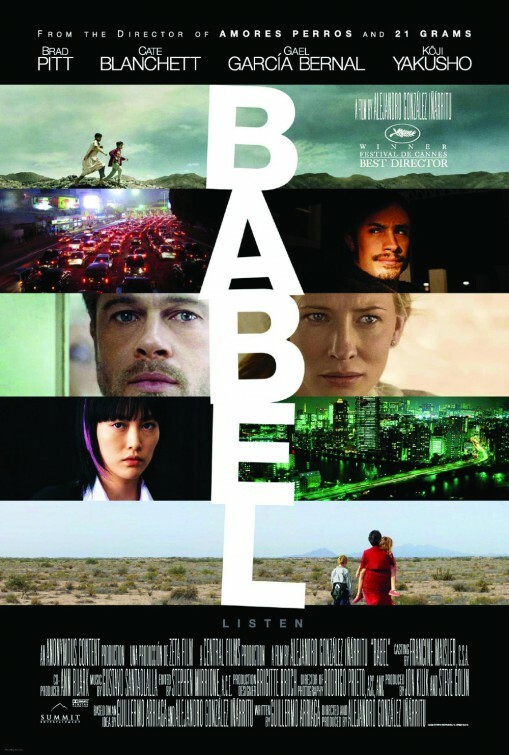 It was almost ten years ago now that I sat down to talk with Alejandro González Iñárritu about his first Best Picture nomination: a film called Babel, which I found challenging, ambitious, and complex. To date, it’s the only one of his films I enjoy. Last night, when Iñárritu won the Academy Award for Best Director for the second year in a row, I was aggravated. I would have chosen differently. I think his recent films have been a case of sound and fury signifying, well… almost nothing. But when I rediscovered my interview with him from 2006, I found it easier to let my typical sense of Oscar frustration go. Iñárritu is a man of deep convictions, some of which have grown in the rich soil of his Catholic upbringing. They may not make for very meaningful art, but I appreciate some of his views. God made very clear what we need to do. And we are the ones that haven’t followed those rules. We always complain and get angry at institutions and religions. But it is not religion or institutions—it is us. The problem is us. We destroy everything that we touch. We destroy marriages, parent-child relationships, governments. Before, it was the monarchy that failed. Then, the czars failed. Then, communism failed. Globalization and capitalism are failing. There’s corruption in every institution. It is not the fault of God. It is us. This film clearly shows that man is trying to survive, lonely, without God. I remember enjoying our conversation. And while Birdman and The Revenant — his Best Picture-winning films — are both, for me, more frustrating than rewarding, I’m still interested in this guy’s imagination and ambition. It’ll be interesting to see what he does next. Which is your favorite of Iñárritu’s films? And what do you admire about it?